Malcolm Cameron (born February 6, 1961) is an American football coach. He is the former offensive coordinator and quarterbacks coach of the LSU Tigers football program. Cameron attended Indiana University in Bloomington, Indiana and played quarterback for the school. Cameron began his coaching career in the NCAA with the Michigan Wolverines. After that he switched to the NFL, in which he experimented with being head coach and offensive coordinator for teams such as the Baltimore Ravens and the San Diego Chargers. He has coached Pro Bowl players such as LaDainian Tomlinson and Ronnie Brown. Cameron was born February 6, 1961 in Chapel Hill, North Carolina. A multi-sport athlete, Cameron was an All-American quarterback at Terre Haute South Vigo High School in Terre Haute, Indiana. He won the 1979 Trester Award for mental attitude as a guard on the high school basketball team which went to the state finals three years in a row. He played football and basketball at Indiana University under coaches Lee Corso and Bob Knight, respectively, until a knee injury ended his playing career. As an undergraduate, he was a member of the Kappa Sigma Fraternity. He graduated from Indiana in 1983 with a bachelor's degree in business. Cameron spent the first ten years of his career at the University of Michigan, where he learned from long-time Wolverine coach Bo Schembechler. After two years as a graduate assistant, he became Michigan's youngest assistant and was responsible for tutoring quarterbacks and receivers (WRs 1986–1989, WRs/QBs 1990–1993). He coached many future NFL players, including Jim Harbaugh, Elvis Grbac, Todd Collins, Amani Toomer, Derrick Alexander and Heisman Trophy winner Desmond Howard. Cameron served as an assistant at Michigan alongside future head coaches Lloyd Carr, Gary Moeller, Les Miles, and Mike DeBord. His fellow graduate assistant was Mike Trgovac, who is currently the defensive line coach of the Green Bay Packers, after serving six years as the defensive coordinator of the Carolina Panthers. Cameron was the quarterbacks coach for the Washington Redskins between 1994 and 1996. He is credited with guiding quarterback Gus Frerotte to his only Pro Bowl appearance in 1997, and also played a key role in the development of Pro Bowl quarterback Trent Green. Cameron returned to his alma mater to serve as the head coach for the Indiana University Hoosiers in 1997. In five seasons, he achieved a record of 18-37. Cameron brought an explosive offense to Indiana with highly effective offensive players such as Antwaan Randle El. Indiana averaged 23.6 points per game under Cameron's guidance. In fact, Randle El became the first player in NCAA Division I history to pass for 40 career touchdowns and score 40 career rushing touchdowns. He finished his college career as fifth on the all-time NCAA total yardage list, and became the first player in college football history to record 2,500 total yards for each of four consecutive years. Although Cameron's Indiana teams won less than one-third of their games, Indiana was recognized by the American Football Coaches Association for its exemplary football graduation rates in each of Cameron's final four seasons. He was fired after the 2001 season. From 2002–2006, he served as the offensive coordinator for the San Diego Chargers. In 2004, San Diego scored 446 points, third-highest in the NFL that year and the third-most in team history. Following the 2004 campaign, Sports Illustrated named Cameron its Offensive Assistant of the Year. In 2005, the Chargers averaged 26.1 points per game – good for fifth in the NFL in that category. In 2006, the Chargers offense amassed a team-record 494 points while paving the way for league MVP LaDainian Tomlinson to break the single-season touchdown record. In addition to Tomlinson, Cameron had the opportunity to work with Pro Bowl quarterbacks Drew Brees and Philip Rivers, as well as All-Pro tight end Antonio Gates in San Diego. He brought in former Hooiser Kris Dielman as left-guard. Cameron was interviewed for a number of head coaching jobs, including the Houston Texans and St. Louis Rams vacancies following the 2005 season but was not hired. Cameron also interviewed for the head coaching jobs with the Arizona Cardinals and Atlanta Falcons in January 2007 but Miami was the only club that made an offer. By the time Cameron arrived, the Dolphins were at the bottom of a downward spiral dating to Dan Marino's retirement. His 2007 Dolphins lost 13 consecutive games to start the season, before beating the Baltimore Ravens in overtime on December 16 for their first and only win that season. The Dolphins ended the 2007 season in last place in the AFC East with a 1–15 record, the worst record in the NFL that year and the worst in the team's 40-year history. On January 3, 2008, newly hired general manager Jeff Ireland announced Cameron had been fired along with most of his staff. 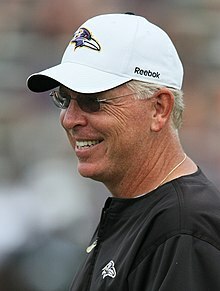 On January 23, 2008 Baltimore Ravens head coach John Harbaugh announced Cam Cameron as the Ravens’ new offensive coordinator. Following a loss to the Washington Redskins in Week 14 of the 2012 NFL season, Cameron was released by the Ravens and replaced by Jim Caldwell. At the time of his release he had helped the Baltimore Ravens attain a 9–4 record. After Cameron's firing, the Ravens went on to win Super Bowl XLVII against the San Francisco 49ers. Despite being fired as offensive coordinator after week 14, head coach of the Ravens John Harbaugh stated that Cameron deserved and would receive a Super Bowl ring, having helped the team for a majority of the season to get to the playoffs. On Friday February 8, 2013 it was reported on CBSSports.com that Cameron had accepted the Offensive Coordinator job at LSU. Later in the day this report was confirmed. Entering 2013, Cameron had immediate success. Cameron's LSU offense averaged 46 points in the first six games of the regular season. Cam Cameron's LSU offense finished the season 34th in the country in Passing Yards at 265.1 per game, 32nd in rushing yards at 200.8, 22nd points for at 37.0, and 32nd in total offense (LSU's best since 2007) at 5591 yards of total offense and a total average of 465.9 yards per game. LSU was 77th in total offense in 2012, 57th in 2011, 81st in 2010, and 102nd in 2009, and 51st in 2008. Cameron has also been widely praised for the development of RS Senior Quarterback Zach Mettenberger who had the best season of his LSU career with a 64.9% completion percentage, and a 22–8 Touchdown to Interception Ratio. The previous year Mettenberger had a 58.8% completion percentage and a 12 to 7 Touchdown to Interception Ratio under Greg Studrawa. On September 25, 2016, it was announced that Cameron was fired along with Les Miles after a 2–2 start to the season. Reports later indicated that it was incoming interim head coach Ed Orgeron who decided to release Cameron. ^ "Dolphins, Cameron strike four-year deal – NFL – ESPN". Sports.espn.go.com. 2007-01-20. Retrieved 2013-09-28. ^ Apple, Annie (2010-10-19). "Raising a Star Athlete with Jaqueline Randle El". nationalunderclassmen.com. Archived from the original on October 29, 2013. Retrieved February 1, 2013. ^ "Cameron fired as Indiana football coach". USA Today. 2001-12-05. Retrieved February 1, 2013. ^ Acee, Kevin (2007-01-02). "San Diego Chargers – Cameron to interview for Cardinals job". SignOnSanDiego.com. Retrieved 2013-09-28. ^ "Struggling Dolphins dismiss coach". BBC News. January 3, 2008. Retrieved April 28, 2010. ^ "Home". Baltimore Ravens. Retrieved 2013-09-28. ^ "Baltimore Ravens fire offensive coordinator Cam Cameron – NFL News | FOX Sports on MSN". Msn.foxsports.com. 2012-12-10. Retrieved 2013-12-28. ^ "Cam Cameron will get a Super Bowl ring | ProFootballTalk". Profootballtalk.nbcsports.com. Retrieved 2013-09-28. ^ Wilson, Aaron (2013-02-08). "Cam Cameron hired by LSU as offensive coordinator". baltimoresun.com. Retrieved 2013-09-28. ^ "LSU didn't fire Cam Cameron, Ed Orgeron did, source says". Retrieved 2016-09-27.